It’s been a while since I’ve read and reviewed a parenting book, therefore, when my brother’s wife recommended a parenting book with a catchy and interesting title, I took note of it. 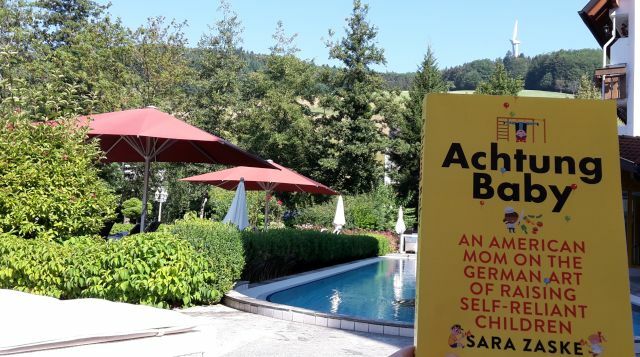 I decided to read “Achtung Baby: An American Mom on the German Art of Raising Self-Reliant Children” in Germany, during our trip to Schwarzwald (Black Forest), enjoying the perfect weather and scenery, while sipping my drink at the pool, German kids running around me (with a few Swiss, French and British kids added to the mix). As a father of a 7-year-old & a 10-month-old living in Belgium, and frequently making trips to Germany and the Netherlands, I found the book more informative on what happened to USA in the recent years, rather than how Germans, particularly Berliners, raised their kids. I found the book not only very readable, but also it provided me with the perfect contrasts between Europe and USA. A striking theme of the book was the irony of the “freedom rhetoric” of USA, and how at the same time children were so much controlled by their parents, coupled with “parent’s rights”, and not much about children’s rights (the Wikipedia article titled “U.S. ratification of the Convention on the Rights of the Child” sheds more light on it). Another striking point was how happy the author, a mother of two children, felt because of the social safety net provided for families, as well as the ability to take 2 weeks of uninterrupted vacations with her family (that she found ‘luxurious’). When a retired bilingual professor who knows his field very well takes the reader on a short and friendly tour, the result is a pleasure in many asp ects. 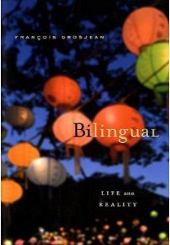 For me, two major aspects of “Bilingual: Life and Reality” were its explaining and debunking of myths related to bilingualism (and never forgetting the fact that experiencing a new language means experiencing a new culture and way of thinking at the same time), as well as having a dedicated chapter on the bilingualism of children. The readers who did not know much about bilingualism will gain a lot from this book without having forced to struggle with heavy academic linguistics terminology. Parents who are concerned about the bilingualism of their children will be relieved as Prof. Grosjean explains why many of the myths are problematic or plainly false. From the beginning to the end, the personal tone of the book made me feel like as if I was in a conversation with an old friend who knew a lot about bilingualism and shared this, as well as his personal experiences, without never intimidating. If you want a good, non-academic starter for all matters related bilingualism, this book is one of the few I can sincerely recommend. We have recently received yet another issue of Brieven aan Jonge Ouders (Letters to Young Parents) magazine and I wanted to say thank you to the Gezinsbond (Family Bond) organization in Belgium for this nice and useful publication. We’ve received this magazine on a regular basis since our son was born in 2011, and it contains a lot of useful information for parents and every issue focuses on babies at the relevant age , e.g. 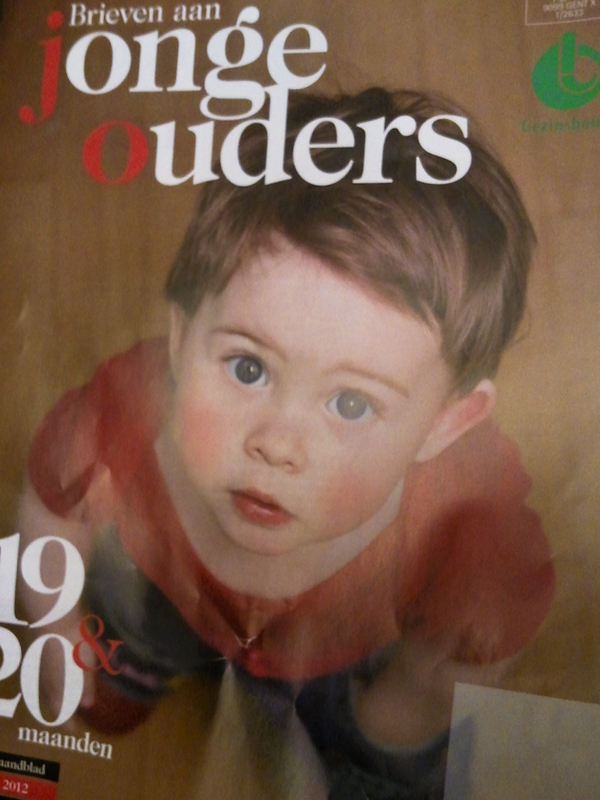 the most recent issue is for 19-20 month old toddlers (see the photograph below). During the first few months we have even received another magazine (from the same organization) for grandparents, describing things that they can do with their grandchildren 🙂 I truly appreciate the efforts of the editors and authors of this magazine. I have to admit that I’m a library geek, in the sense that a healthy dose of my future plans include visiting the most beautiful libraries in the world. In a book that I have started to read recently, Darwin Among The Machines: The Evolution Of Global Intelligence, I’ve learned about the Firestone Library of Princeton University, and this led me to discover a very special place: The Cotsen Children’s Library. The Cotsen Children’s Library is a very special library within the Department of Rare Books and Special Collections at Princeton University Library. Our international research collection of illustrated children’s books, manuscripts, original artwork, prints, and educational toys from the 15th century to the present day is the benefaction of Lloyd E. Cotsen ’50. The Cotsen Children’s Library also has a public face, serving as a resource for children, families, and educators in the greater Princeton area. Cotsen offers a variety of children’s programs that are open to the public and free of charge. Visitors are also invited to explore Bookscape, our whimsical children’s gallery. Like Cotsen’s programs, the gallery is open to the public and free of charge. Please bring your family to relax and read! I really want to take our son there when he grows a little more. I don’t know if he’s going to like libraries as much as I do, but maybe we can get lost in one, just to find ourselves again, refreshed with new perspectives, questions and answers, just in time to start another journey in space-time.